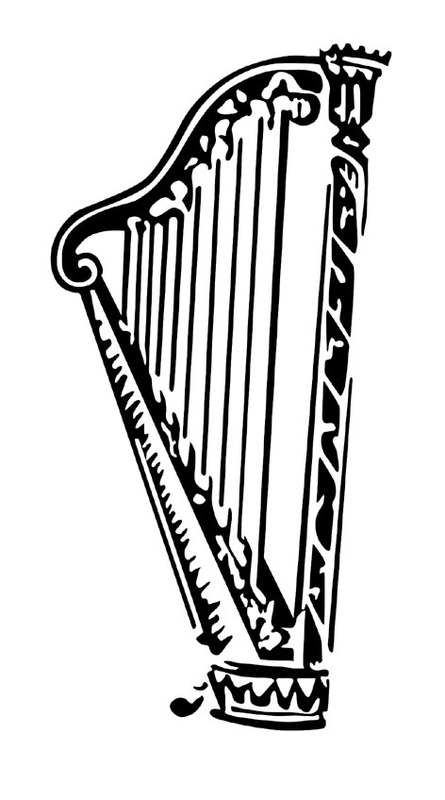 The harp was F.R.H.’s personal emblem. This harp copied here was published on the front cover of her first book, The Ministry of Song (published in 1869 by the Christian Book Society, London). She was a musician to the core. The purpose of the Havergal Trust is to complete, publish, and disseminate very widely – to make available to many – the poetry, prose, and music of Frances Ridley Havergal. She was the youngest of the six children of Rev. William Henry and Jane Head Havergal; born in Astley Rectory, Worcestershire, England, on December 14, 1836, she lived most of her life in Worcestershire, and she died on June 3, 1879. Her works are wonderfully rich and valuable, truly glorifying her Lord and Saviour, Jesus Christ, and helping, encouraging, and enriching others. As a personal note, the Havergal Trust was so named because this was a trust entrusted to me, to gather, prepare for publication, and make available to many F.R.H.’s works, a true and rare privilege for which I was and am so very unworthy. After that first and more important description of this (the now uncommon use of the word “trust” meant here, a thing entrusted to another), a secondary use of the word is also meant here: the more frequent yet not very often use of the word as a formally established Trust, a work not for profit but for the benefit of others (a 501.C.3 charitable trust), in which assets or treasure are entrusted by one to another for the benefit of a third party or group: there has never been any interest in making a penny of profit in this, and any money ever received from sales or gifts should be applied directly to making more books and more widely distributing them (in the U.S., the U.K., Canada, Australia, New Zealand, South Africa, Hong Kong, Singapore, Seoul, if the Lord wills). The last transaction – if the Lord enables and wills – would be, after all of this has been published and widely disseminated, to declare all of this public domain and to close the Havergal Trust. There is such treasure in these books. Unless a better way of collaboration with another organization is shown (sought in the past but never found), these books will be published by the Havergal Trust, again, if the Lord wills. We need help in this. A number of others have generously and so very importantly helped in this work, at much cost of time and effort, a labor of love. Their names are given in the section of Grateful Acknowledgements at the end of each of the five large volumes of the Havergal edition. The Lord Himself reward each of them as no man can reward. These five volumes total 8,014 pages, filled to the brim with true gold. The editor has commented that “it ought to be against the law to make books this big,” yet there is a very important, needful reason why this was done rather than to have more and smaller volumes. Also 25 small, individual books have been lifted – copied – directly from the five volumes of her Complete Works, most of them being near 100 pages, and these also are virtually ready for printers to make the books. This is an urtext edition, cleaving very closely to the original sources. Just as an urtext score will give a double-flat instead of a natural sign if that is found in Beethoven’s manuscript, F.R.H.’s words and details (including her spelling, punctuation, etc.) were copied as found. Many valuable, important works have been gutted with a pretence of improving or clarifying the language, when the language of Bonar, Spurgeon, Chambers, and others should be left untouched in its original clarity, beauty, and power. F.R.H.’s sentences—and very words—have a special power, clarity, beauty, sweetness, and precision which cannot be improved nor even matched—only harmed and distorted—by any changes. Similarly, C. H. Spurgeon, J. C. Ryle, John Owen, John Flavel, Thomas Watson, George Whitefield, Jonathan Edwards, Robert Murray M’Cheyne, and many other similar authors should be left alone in their precise words they originally wrote: any “improvement” of their precise words improves nothing, harms and distorts what they really said, and very often if not always guts what they meant and invites things they never meant. This is far worse than “improving” paintings by Rembrandt, Vermeer, Monet (which would be derided by anyone serious about art), or “improving” scores by Bach, Beethoven, or Rachmaninoff (any true musician cleaves to the original scores with absolute fidelity to the tiniest notated details), and serious people would not accept such against Shakespeare, Nathaniel Hawthorne, Goethe, nor such secular authors. It is a remarkable distortion for an editor to impose “trust me, I know better” rather than the original author. Examples of F.R.H.’s poetry, prose, and music are given on this website, and a brief biographical sketch of F.R.H. All the pieces are by F.R.H. unless specified otherwise. All of this is copyright 2012 The Havergal Trust, all rights reserved. Readers are welcome to copy parts of this for personal use or in a local church bulletin, but permission is needed for any use in a formal publication (to applicants we would also be generous, wanting these works to be widely read and known). The purpose of all this work is ministry to the Lord and to His people. never was, that I know, applied in a Christian sense before this case. eternal. “I will praise Thy name for ever and ever.”— Rev Dr. Marsch.